The following article provides information on how you can transfer a G Suite account to Media Temple, if you already have an account with a different hosting company. 2. Sign in with your domain administrators username and password. 3. The page will auto-generate a token for you. 2. 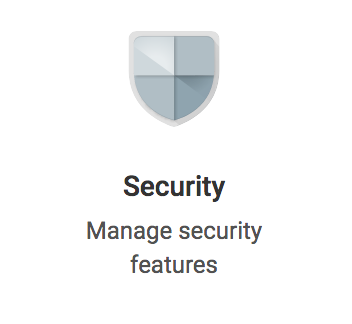 From the Admin console click on Security. 3. After clicking on Security, click on API reference. 4. Ensure that Enable API access is checked. 1. After completing the steps above, submit a support request to Media Temple. Include that you would like to transfer G Suite reseller access to Media Temple. And confirm that API access has been enabled. If you haven't opened a G Suite service with Media Temple yet, also specify you wish to do so, along with the number of users slots you desire. For information on G Suite with Media Temple, feel free to check our website https://mediatemple.net/services/googleapps/.